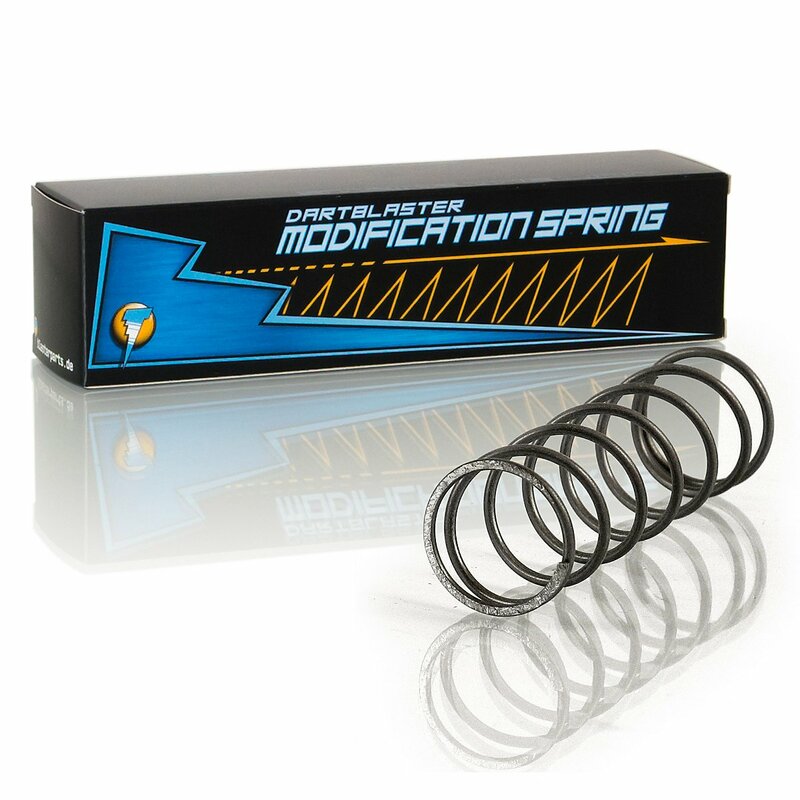 With the Modification Spring you can extend the Nerf AccuStrike precision over a long distance. 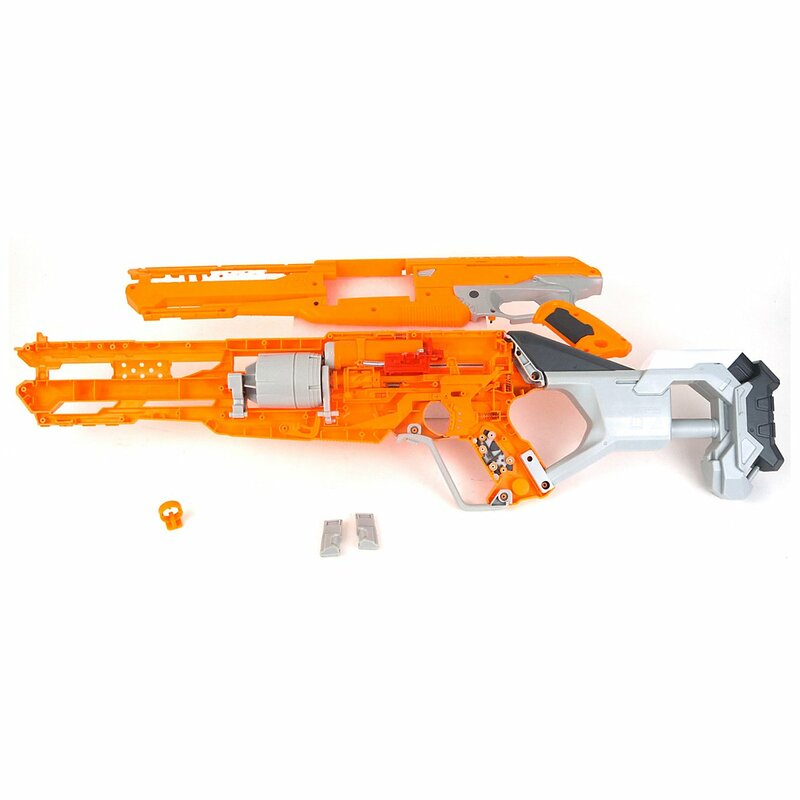 The Nerf AccuStrike blasters and darts are particularly precise. However this feature costs some meters of distance. 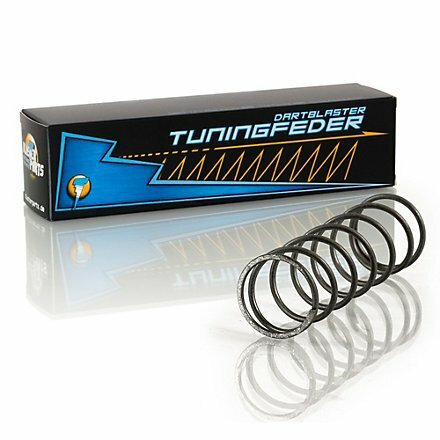 With the Blasterparts Modification Spring you can not only compensate this but even achieve at least 20 meters of firing range. The priming handle presents the only difficulty. 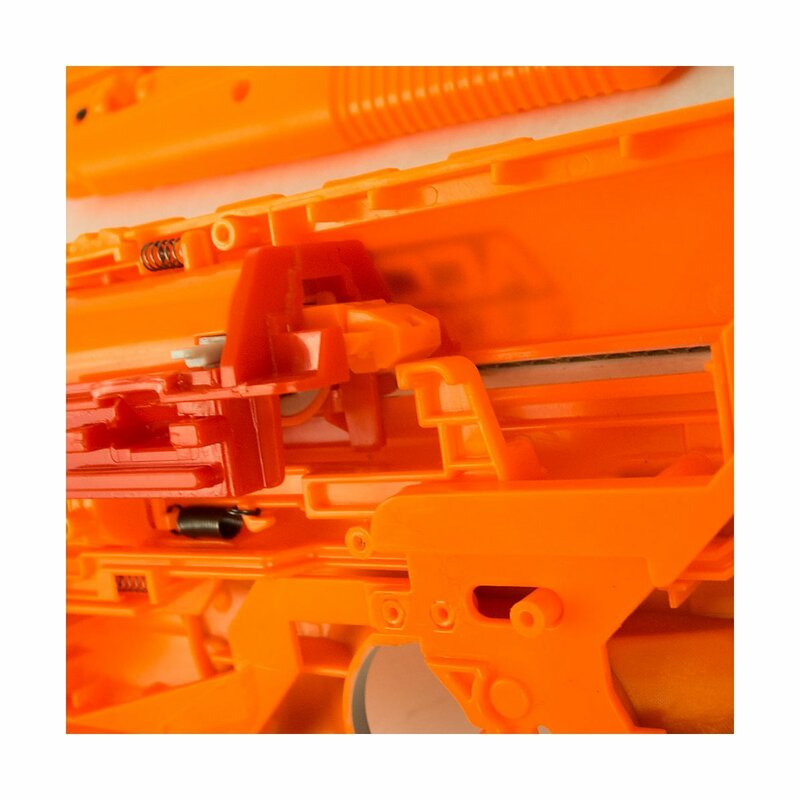 It has to be removed in order to open the blaster. 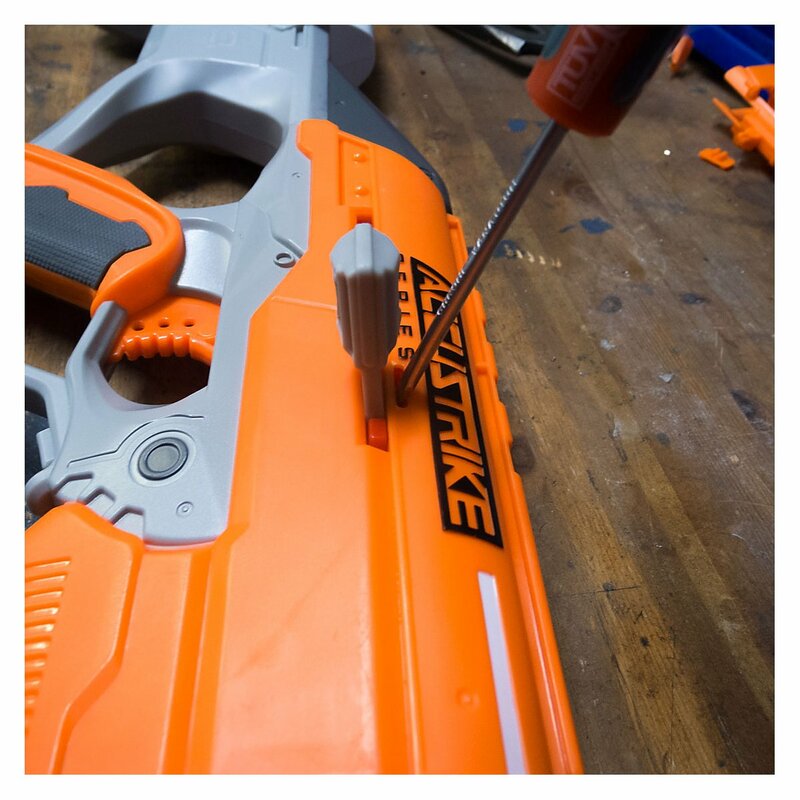 Best is to insert a very flat, small screwdriver into the slit right above the priming handle and loosen the notch that holds it in place.